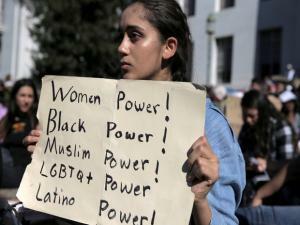 Berkeley High School student Ariana Melton, 16, holds a sign during a protest in response to the election of Republican Donald Trump as President of the United States in Berkeley, California, US on November 9, 2016. 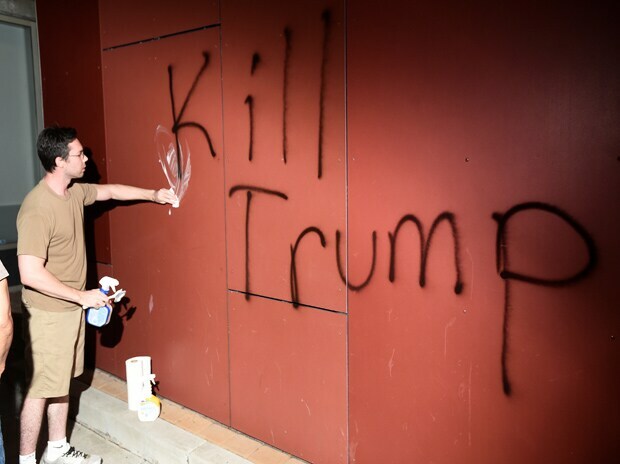 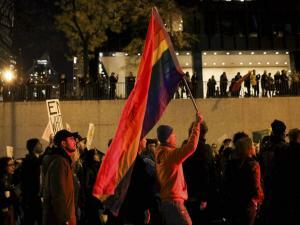 A man tries to remove 'Kill Trump' graffiti as demonstrators riot in Oakland, California, US following Donald Trump's victory. 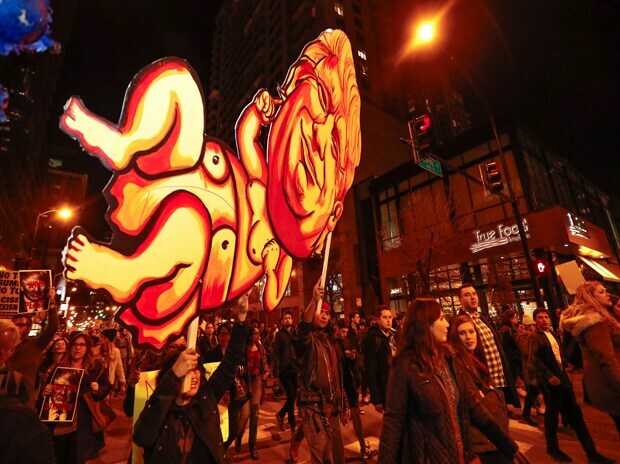 Protesters carry the funny effigy of Donald Trump while protesting in Chicago, Illinois. 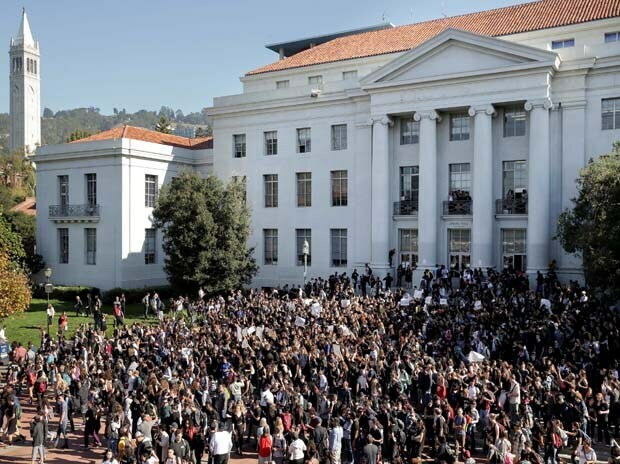 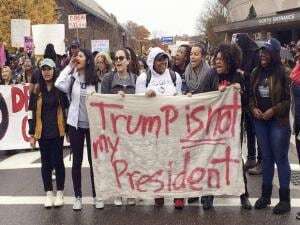 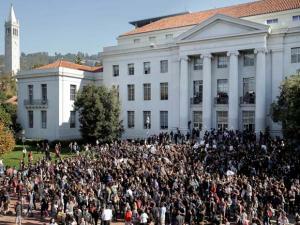 The protests were peaceful and students said that they felt compelled to demonstrate against Trump because they were not old enough to vote. 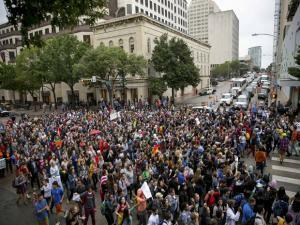 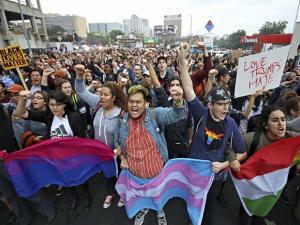 Hundreds of University of Texas students march through downtown Austin in protest of Donald Trump's presidential victory. 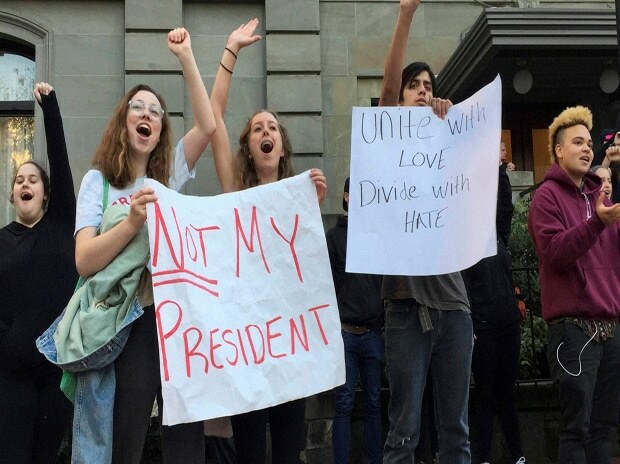 However, in his victory speech, Trump said he would be president for all Americans and would work for unity of the US. 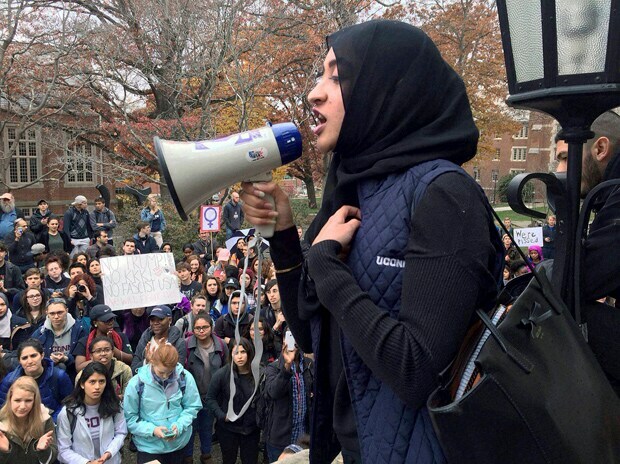 Abbasi, a junior psychology and neurobiology major, said as a Muslim student she feels that the American people told her Tuesday night that even though she was born in this country she doesn't belong here. Earlier, Democratic Presidential candidate Hillary Clinton said in her concession speech that people must give Trump chance to govern the US and everyone must stay united in spite witnessing a divisive campaign.